If so , then that would have been the bad album then? Yes, Joseph was their manager and we should give credit where it's due. However, let's not forget that Michael always had a vision for himself, and used initiative at various points to achieve his goals. He took it upon himself as a child to put together a school performance, where he sang 'Climb Every Mountain'. This not only secured his place as a member of the Jackson 5, but it made him a leader. That how Motown was their had control over their artists Motown did everything you had no freedom. I grew up on Motown and that just how it was done. They wrote the songs and did the music all the artist had to do was to be there and sing the song. There was some many version of a songs because Motown had alots of their artists sing the same song to see which group fit this song. Moving to Epic was the best thing that the Jackson could have done. Last edited by #MJforever57; 08-10-2017 at 02:55 PM. Whenever I find out a song I like is a cover I'm always disappointed. That happened a lot with Motown as you explained, with songs being shared around the label. Though artists like Smokey Robinson, Marvin Gaye, and Stevie Wonder were able to attain artistic freedom there. Funnily enough, I've always preferred J5 originals such as 'Looking Through The Windows', 'We're Here To Entertain You', and 'Never Can Say Goodbye'. In Moonwalk it says that Michael had the meeting on his own with Epic. I will double check that but am reading my original copy I got in 1988 again and it recently covered this section. I know he said that there was a huge weight on his shoulders about the whole thing. Very sad to think of someone that young shouldering so much burden. Just checked in Moonwalk. Page 115 talks about leaving Motown. Michael says the brothers were all miserable "but no one was saying anything". Not his brothers or his father. So Michael alone went and had a meeting with Berry Gordy to tell him how unhappy they were and how they wanted more artistic freedom. Gordy didn't agree as we all know. When Michael then discusses the move to Epic on page 117 it isn't clear who set up/had meetings with them. It just states "we decided to try for a fresh start with another label, Epic." Isn't it in Moonwalk where he talks about he and his dad talking to Epic? Where he says he and his brothers weren't the "right horses" for Gamble and Huff? I thought it was-maybe not. I could be wrong-I'm going by memory. I don't have the book with me here. Last edited by barbee0715; 10-10-2017 at 05:29 PM. Well I don't think it's any secret there was always an unspoken tention between Joe and Berry.. It would not be suprising for Joe to be the initiator!! Here's an excerpt from "Making Michael"
"In January 1975, Motown released Michael’s fourth solo album, Forever, Michael. The album performed poorly, peaking at 101 on the Billboard 200 chart. This was eight places lower than Michael’s previous album of two years earlier, Music and Me, which includes songs such as the title track and ‘With a Child’s Heart’. 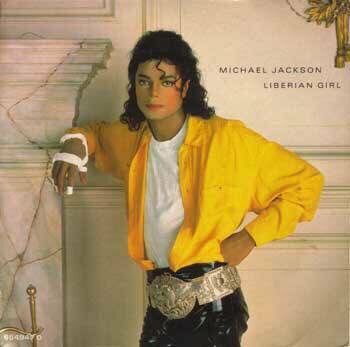 Neither album reached the top 50 in the United Kingdom, selling poorly at a time when The Jackson 5’s record sales as a whole were declining. The group felt Motown was holding them back, not allowing them to write or produce their own music or play their own instruments. They were unhappy with the sound of their music, and there was a real concern that more contemporary groups would overtake them if something didn’t change. “We want to try different things; we want to grow,”Michael explained. “It’s like the caterpillar must come out of the cocoon and be a butterfly. We have to try different things and grow and become all those different colours and elements and things like that. We’ve always wanted to write on Motown but it was never in our contract. And we could have changed our contract at Motown. But I don’t think people had confidence in us; they didn’t believe in us. They say, ‘Oh, you guys [are] just kids. Just go behind the mike’. Neither Michael’s father Joseph nor his brothers spoke out about the issue, so Michael felt it was up to him to confront Berry Gordy about their feelings. But after meeting Gordy at his Bel Air mansion, Michael was told in no uncertain terms that the group’s songs would still be controlled by Motown’s writers and producers. If the brothers wanted to progress there was only one choice left, and that was to leave the label altogether. Joseph and his attorney, Richard Arons, began began looking for a new record deal and chose to sign with CBS Records, headed by the volatile New Yorker Walter Yetnikoff, in the summer of 1975. CBS offered a royalty rate of 27% of the wholesale price for each record sold in the United States, compared with Motown’s standard 2.7%; and although Yetnikoff was sceptical about allowing the brothers to write and produce all of their own music, there would be more creative opportunities there than at Motown. Life at CBS didn’t get off to the smoothest of starts; first the group were forced to change their name to The Jacksons, as Motown laid claim to the ‘Jackson 5’name. Jermaine also felt compelled to leave the group and stay with Motown and release solo albums, having married Berry Gordy’s daughter Hazel in 1973. He was replaced by the youngest Jackson brother, fourteen-year-old Randy, who had been an unofficial member of the group since 1972, playing congas onstage as part of their live act." I still say Jermaine should have stay with the group and move with them to CBS he did not marry Motown he marry Hazel he felt he owe Motown and he could not leave. The brothers stay together for alittle bit but then went their separate way Michael continue with his solo career it was sad the brothers fell apart. ^ I can't blame him too much.. It was a hard decision.. Though he only talks about not leaving Motown because of his marriage but naturally a person in his position would HAVE to assume that a solo career with good backings from Motown would be behind him.. He probably thought, "shoot if I stay, I show I am loyal, it helps prevent any issues within the marrage, and Berry will see my dedication to the company" ie. solo career exploding..
On 'The Jacksons:A Family Dynasty' - Jermaine said it didn't have anything to do with his marriage, but was down to loyalty to Motown for everything they had done. Not sure I believe that though. ^ Well yeah, stating he stayed because of the marrage within the Jackson family does not fly.. Picking a woman (who's marraige did not last) over the JACKSON family does not fit into this "togetherness" image that is sold.. I'm sure IF the marriage lasted, he'd have a different tune.